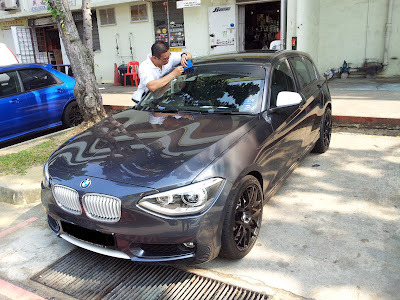 (Above)James applying finishing touches to the sunstrip on the front windscreen To add a sporty and individual flair to our 116i, we approached James from JJ Decal who is well known in the local car scene as the go to person for making and application of customised decals for cars. The design concept was to use the BWM M colours of white, grey and black. Eugin came up with the initial design for the decal and James proposed the combination of matt black background and gloss letters for the sunstrip. 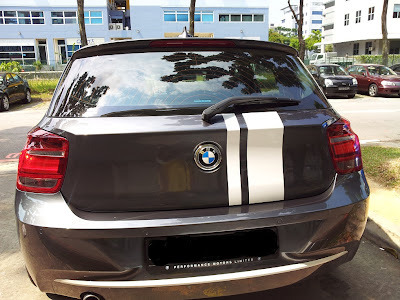 The sunstrip helps to provide both aesthetics and acts as a sunshade.We also did the matt black sideskirt strip to provide illusion of a sideskirt line. 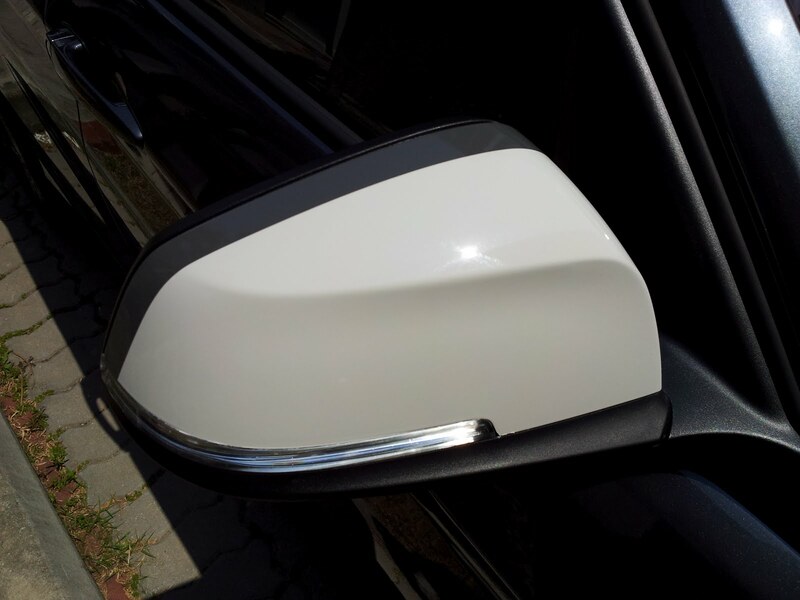 On the side mirror cap,we had the cap resprayed to pearl white and a grey decal stripe applied for the border of the mirror cap. 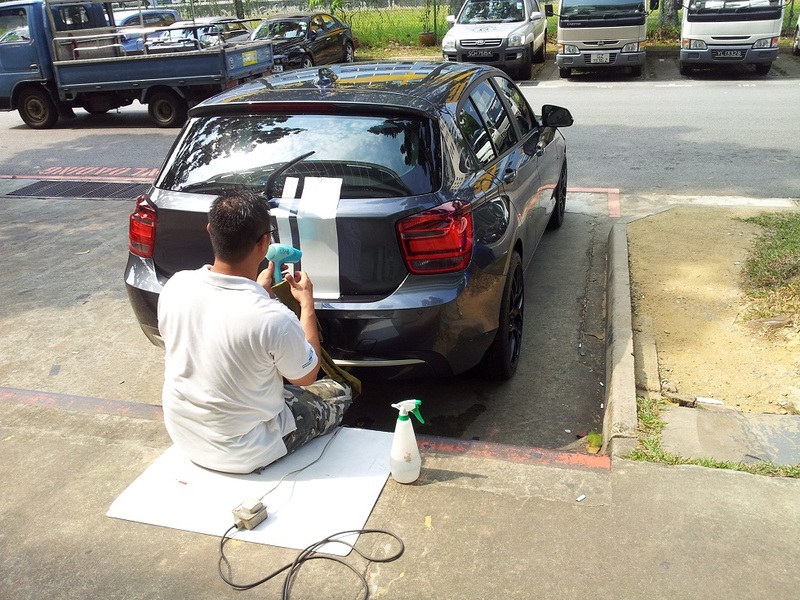 At the rear hatch, we asked James to apply the gloss white strips of M Sports design. Our Bimmer 1 now looks more sporty and customised.Those interested can contact James from JJ Decals at +65 91895083. 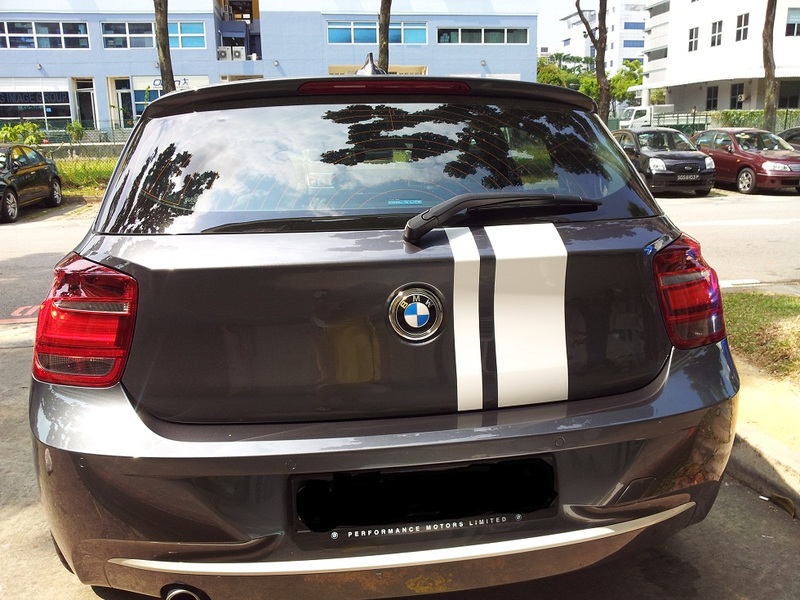 (Above)Sideskirt decal based on M Sports design. (Above)James applying decal transfer of the white M Stripes on the rear hatch. 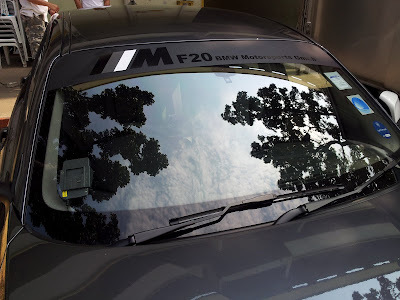 (Above)Our cutomised M design Sunstrip. 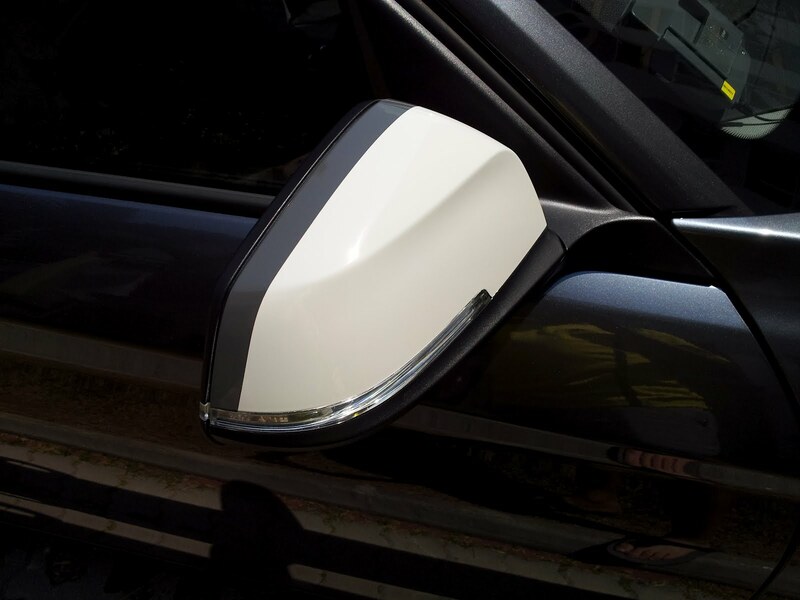 (Above) Side mirror cap resprayed gloss pearl white with the grey decal sticker depicting the M colours of white, grey and black. 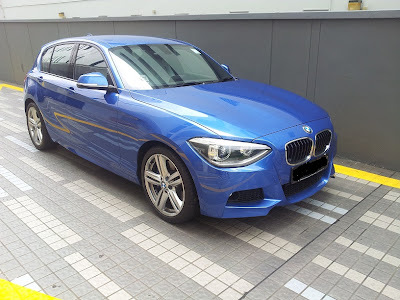 Over the weekend, we saw a rare blue M Sports 116i with M bodykit. Really would have chosen this colour if it had been available but it is only available for the M Sports kitted 116i of which one or two are available in Singapore. 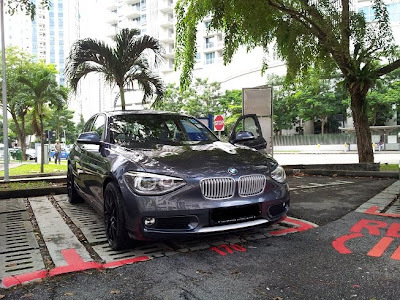 Not sure who is the lucky owner who owns this rare vehicle. Although the current market sentiment in the car market is that COEs are way too expensive, occasionally there are good buys to be found. In a high COE environment like now resulting in higher used car prices, if your current car can fetch a good deal at a profit and the offset cost between what you get for your current car and the new car is quite close, then it stands to be a reasonable option to change your car after a reasonable period. 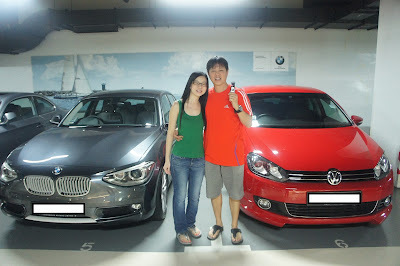 (Above) Us with our 2 cars - outgoing VW Golf Sports and incoming BMW 116i It was in this good situation that we were able to trade in our current VW Golf Sports at a much higher return. 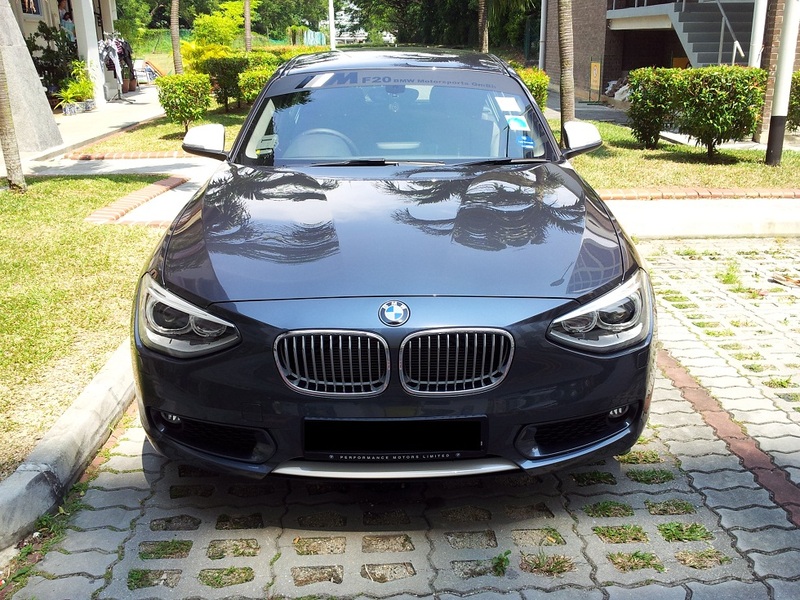 We calculated based on the depreciation and if COE was at moderate levels of 20 plus k for Cat A, the returns after loan settlement would have been a low 4 figure sum but now the returns was in the vicinity of close to 40k since the purchase price of a new Golf Sports has risen to 143k. 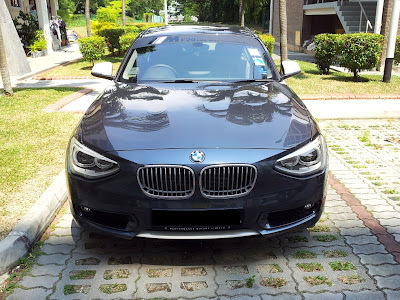 While car purchase is never a prudent financial move if one is talking only about dollars and cents but sometimes life is more than just dollars and cents and if you done your calculations and is financially viable and would be getting a good buy, then why not? 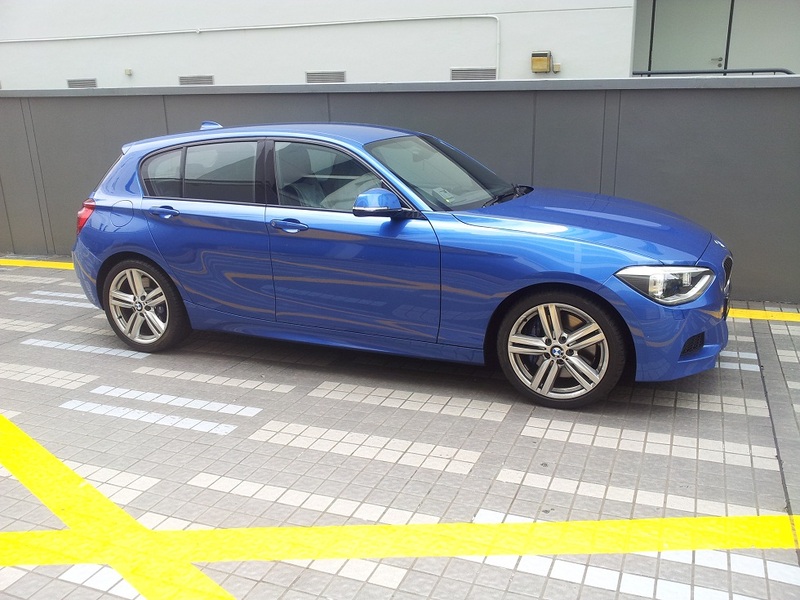 We test droved the Mercedes C180K 5 speed supercharged model and the BMW 1 series 116i twin scroll turbocharged with 8 speed gearbox. Both cars impressed us with their high level of comfort although the insulation, on board equipment and smoother engine and gearbox of the 116i piped the C180K which is a older model despite the facelift with a older less fuel efficient 5 speed gearbox. What made the final deal was the pricing -157k versus 180k and the generous trade in and discounts given by Performance Motors Limited - the agent for the BMW 116i. 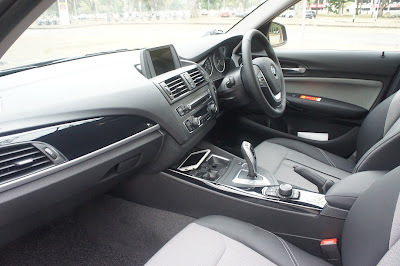 For more information on review of the 116i, go to the following link - http://www.sgcarmart.com/news/review.php?AID=475 We did consider the 118i but for the same engine with a faster 0-100 speed of 1.6 seconds faster and full leather interior ( 116i has half leather half fabric design) , the price difference of 20k was not really cost effective since other than the above, both 116 and 118 share the same equipment level such as full auto wipers, xenon with carona DRL, comfort keyless access, i-drive. 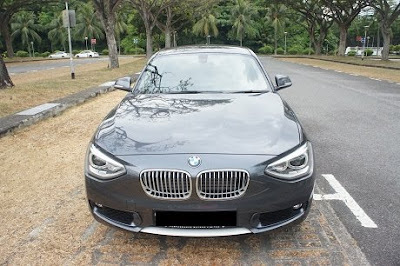 It was also our good fortune to meet a Sales Executive from PML - Low Wai Yee whom we could have a comfortable discussion and talk through of the financial details and information about the car. Her easy going persona made the buying process a friendly, comfortable experience and she was willing and able to go the extra mile to at least try to meet almost all of our conditions for the sale to go through such as getting a very good trade in price for our current Golf Sports. She was also very efficient and helpful in her responses to our sales queries. 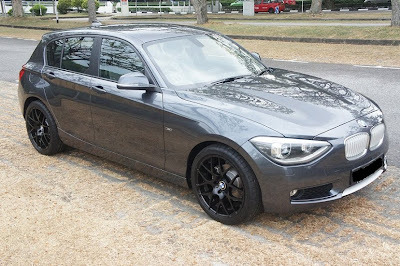 Her dependability and willingness to be around to assist even after the car purchase also gace us peace of mind given thatwe have someone to assist us for future dealings on the car. 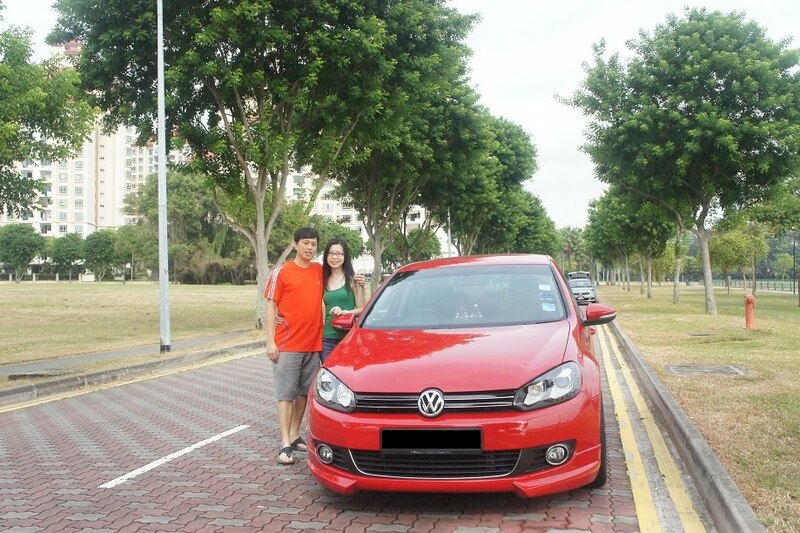 She also helped speed up delivery of the car for us by a week. 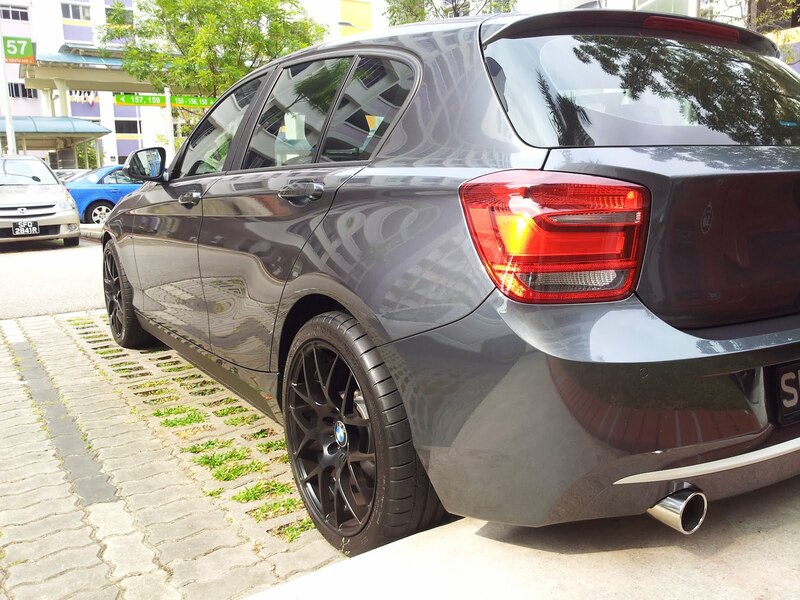 If you are keen on getting a BMW or need more information on a BMW model, do feel free to contact her at 9878 3233. 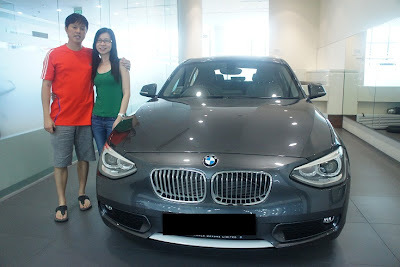 We had a good car collection experience with Wai Yee really spending over an hour plus going through with us the car functions and assuring us that we could sms her ifwe had forgotten anything. The drive of the car has been very comfortable. 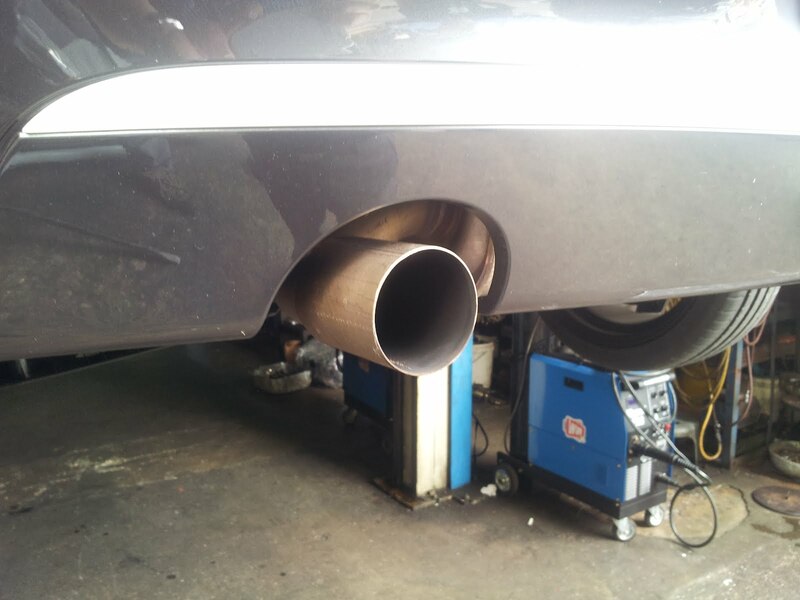 We are now letting the engine run in and evaluating fuel efficiency with a full tank of petrol over the week. 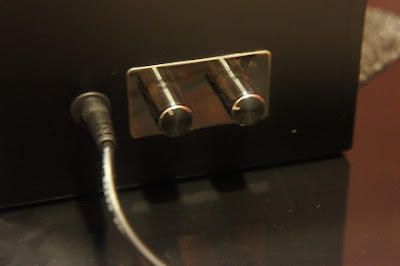 (Above) In the car delivery room at Performance Motors. 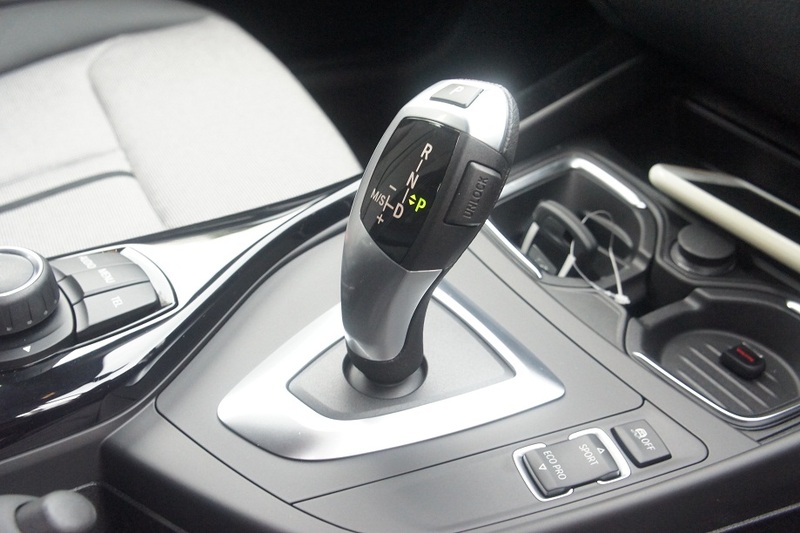 (Above) The 8 speed electronic gear knob takes some getting used to as it is akin to a computer joystick. 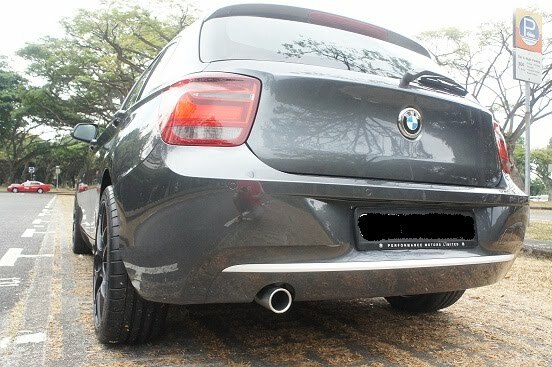 (Above)View of the car from the rear. 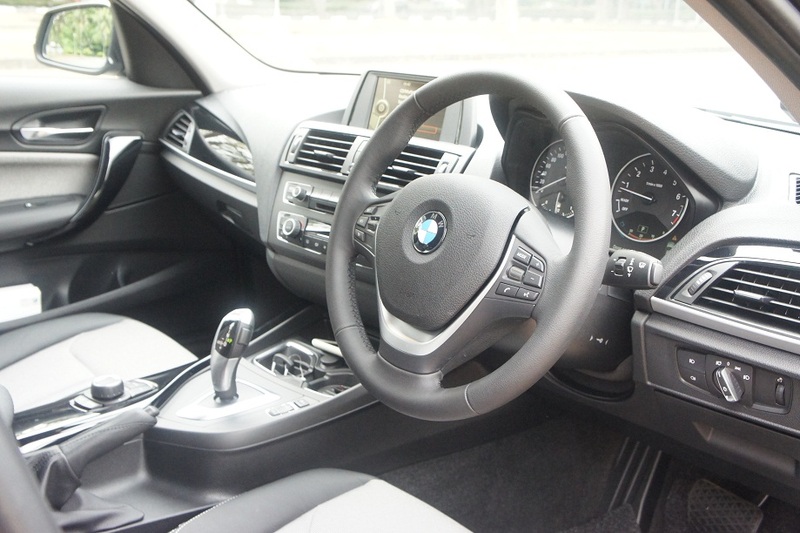 (Above)Highly finished interior similar to the new 3 and 5 series with i-drive display. (Above) Rear interior with rear aircon vents and reasonable leg room. (Above) Multi function sports steering wheel. 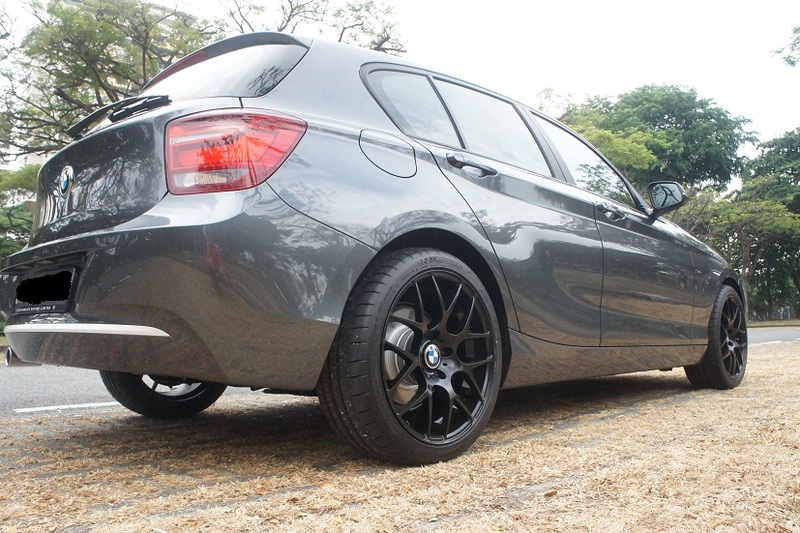 (Above) We changed the tyres to 18 inch Michelin Pilot Super Sports at Top93 for better grip and breaking distance and speed stability. Tyres are the only thing that keeps the car planted so don't skimp on a good tyre. 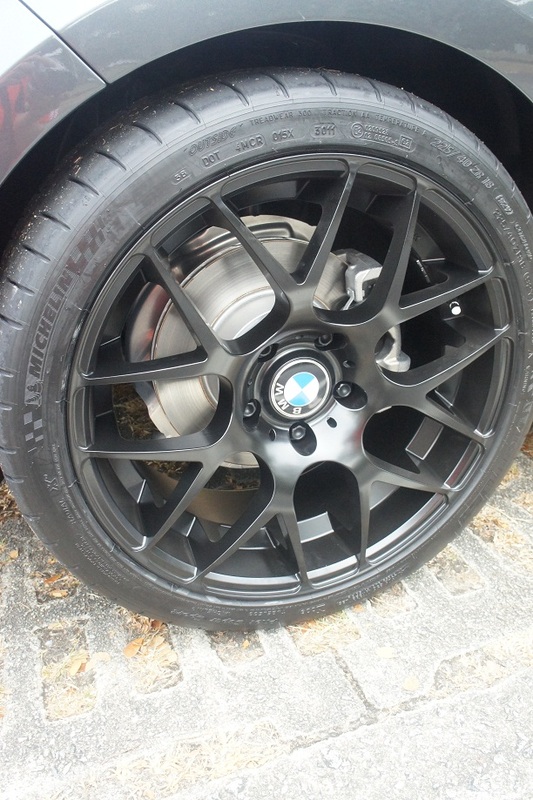 A set of black replica rims adds to the aesthetics of the car. We have also installed a Finevue HD car camera to film car movement so that video of incidents can be captured and used as evidence in cases of dispute especially in motor insurance claims. 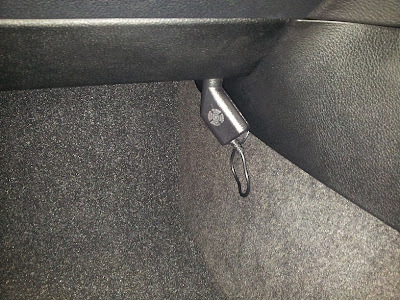 We asked the installer at Pin Liang to help us conceal the iring and connect it to a 12 volt socket in the car and manage to find one under the glove box hidden from view(below) so that aesthetics remains. 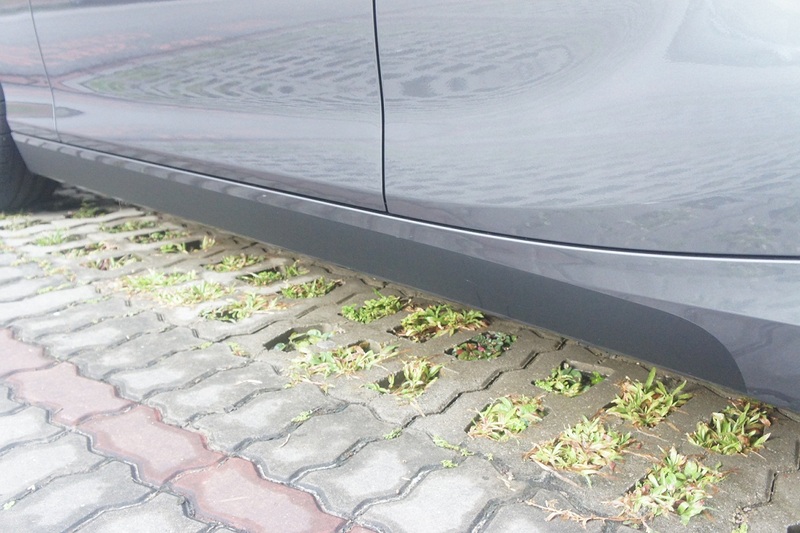 (Above) With sideskirt decal Sideskirt decal added to provide a dummy sideskirt inlet and add subtle contrast to bodywork. 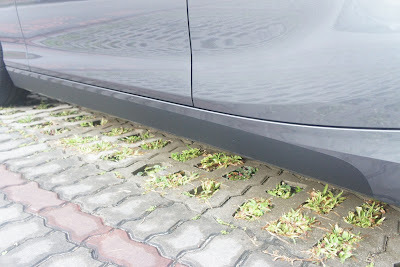 A white one who have stood out but maintenance wise, would be difficult as it would be prone to mud splashes and dirt. 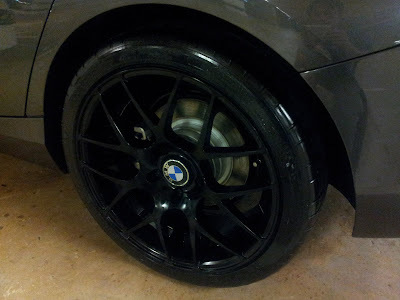 Did the decal at JJ Decals. 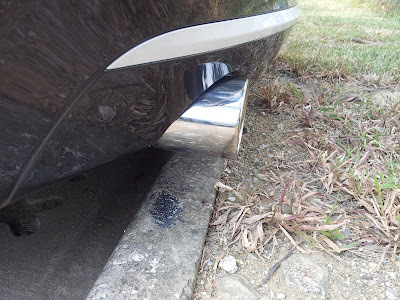 As the original exhaust silver tip looks very basic, we decided to go to Jeep Chee to replace it with a slightly bigger chrome. 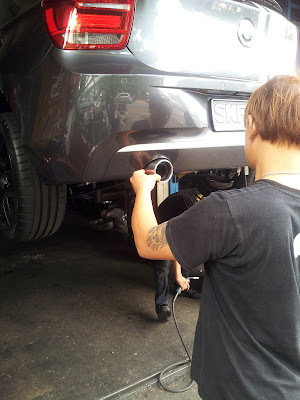 The staff at Jeep Chee were very helpful and showed us the various tips they have and as we did not want any modification or cutting of exhaust pipe to maintain our car's warranty, they help us just take out the original tip and weld the new tip. The new tip had to be modfied to fit onto original exhaust pipe. 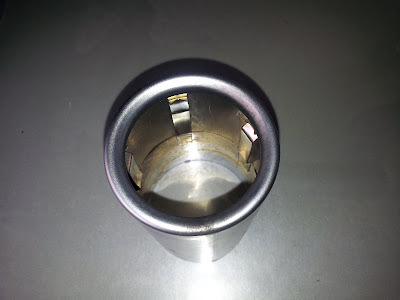 The cost varies from $60 to $90 depending on the size of the tip. 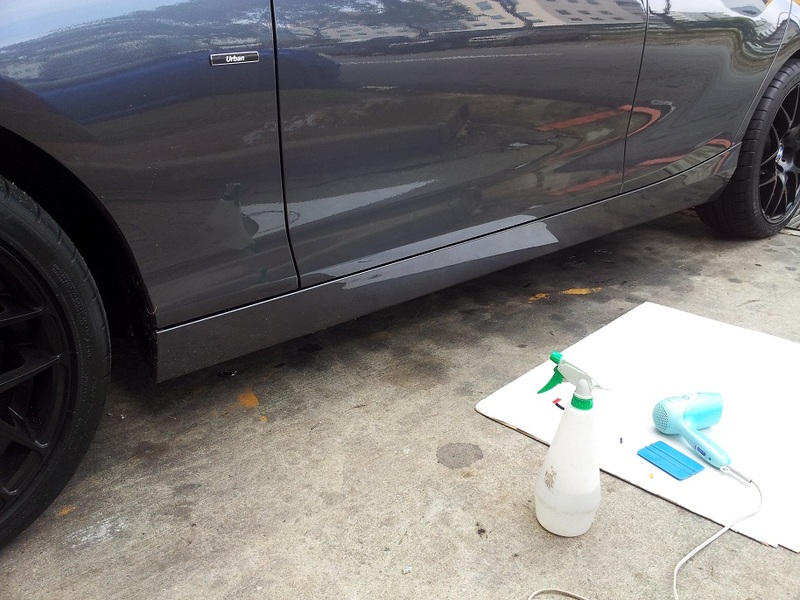 The whole thing took about 15 minutes which is fast and efficient service. (Above) Exposed exhaust pipe after oem tip removed. 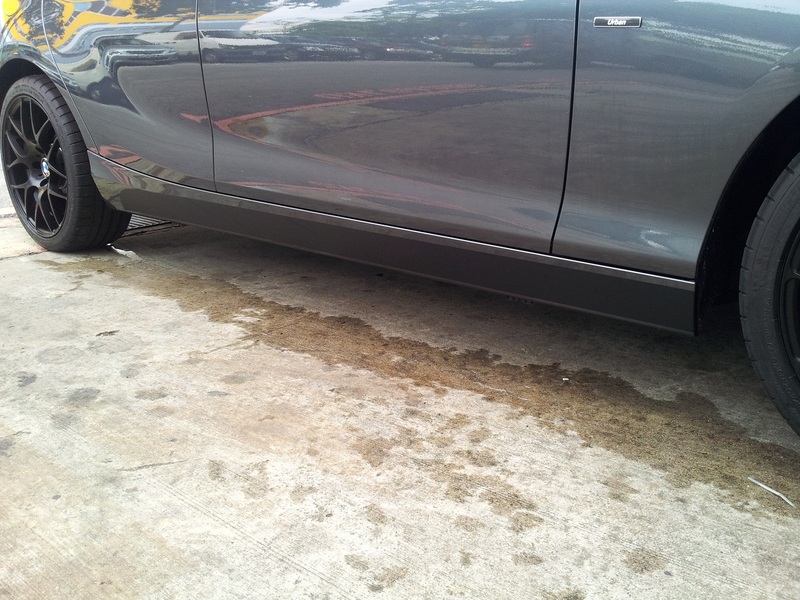 (Above) Car jacked up with Jeep Chee technician adjusting tip for alignment before welding the tip. (Above) Close up of new tip. Bigger and shiny. 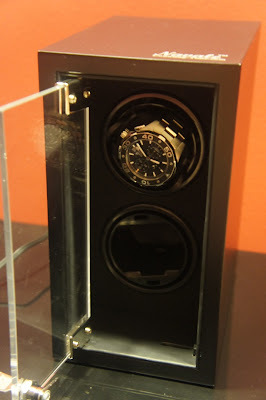 Having bought a TAG Heuer automatic chronograph watch, it was necessary for me to look for a reasonably priced and reliable watch winder to wind the watch mechanism to keep the watch functioning at the correct movement without being overwind and damaging the mechanism of the watch. 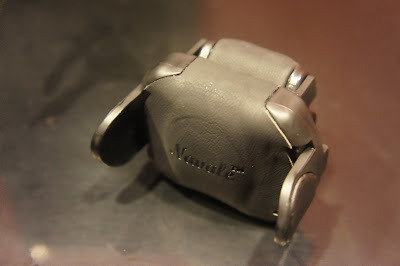 Since I usually wear other watches on weekends, I would need a winder to keep my watch wound over the two days so that the mon=vement doesnt stop due to inertia from not wearing for two days. 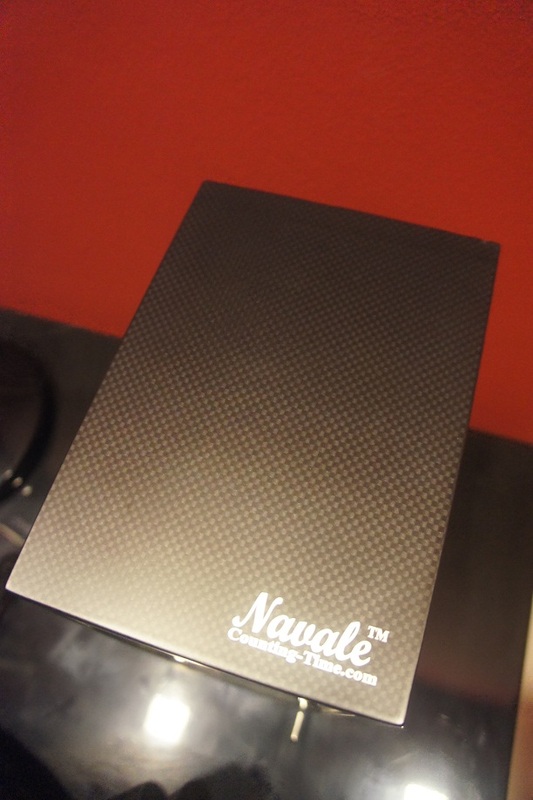 The Navale series of watch winders from local company - Counting Time was found to be esablished with importantly good service support as enquiries and service support for mechanism issues if any were available. I ordered from the company owner - Jon who was very efficient and informative in his replies to my sales queries. 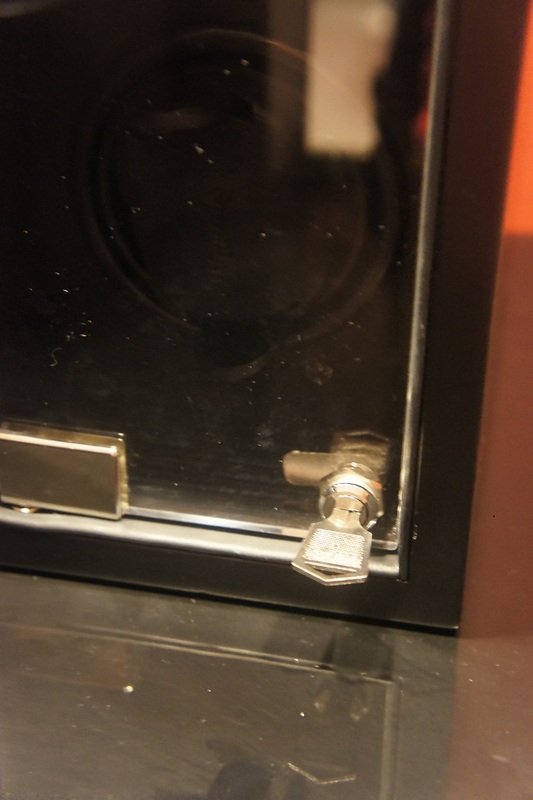 He personally delivered my two watch winder unit - Mode N102 BT-C and showed me how it was to bese up with the correct winding settings. (Above)Cushioned watch holder that plugs into the watch winder mechanism. 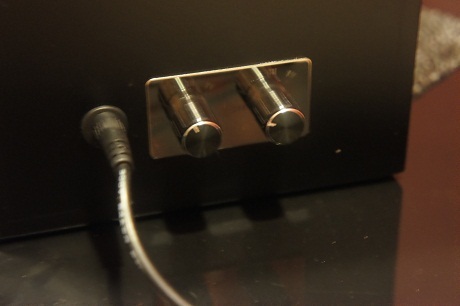 (Above)TPD switch for top and bottom watch winders to set the Turn Per Date rate.